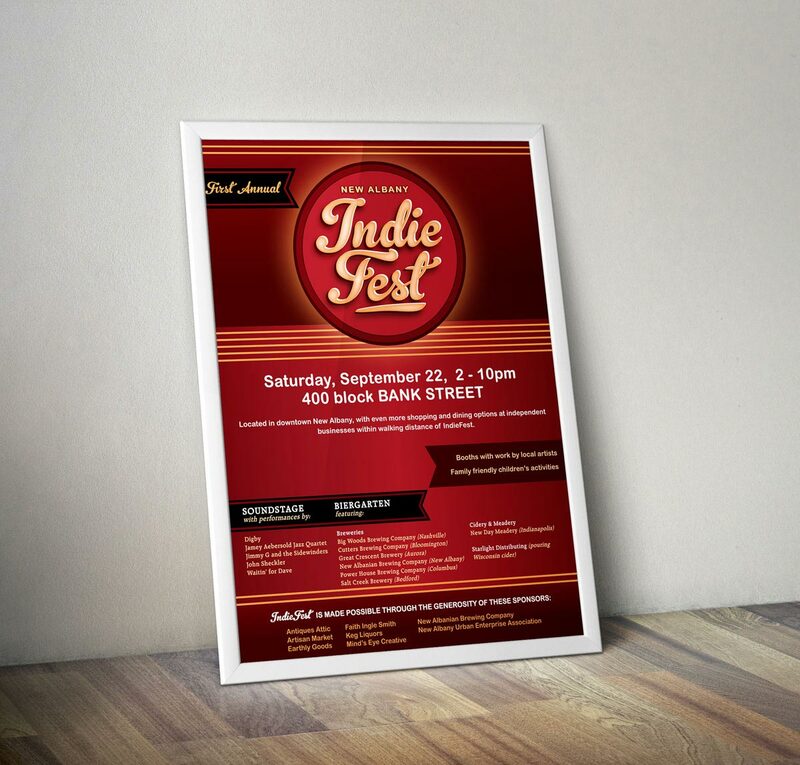 Indie Fest, an annual fall festival, is the brainchild of local independent business alliance New Albany First. The event promotes independent businesses, showcasing musicians, artists, restaurants, breweries, wineries and more. 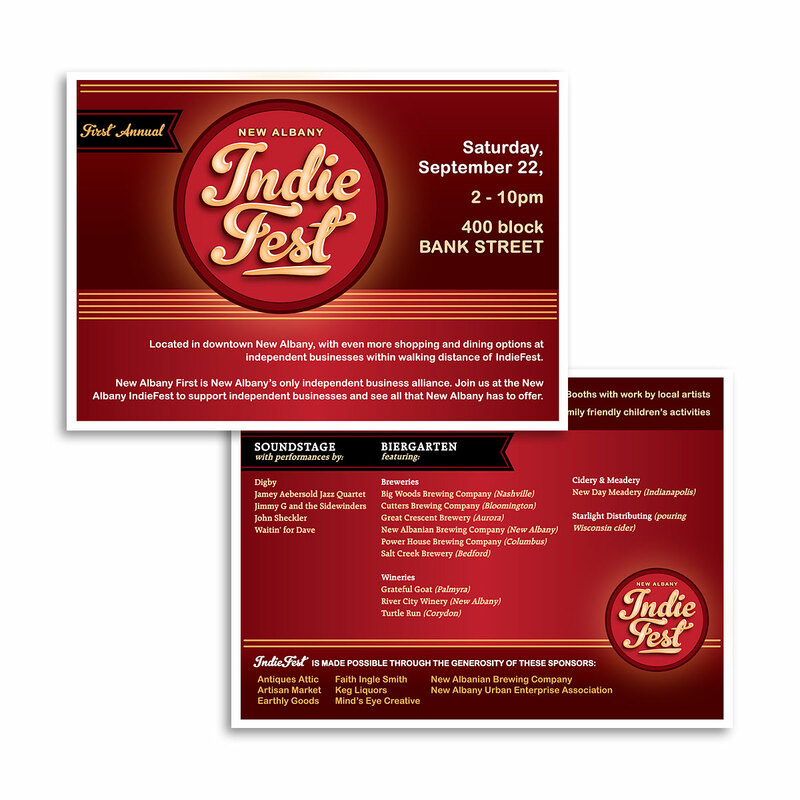 Festival organizers needed an array of local advertising channels to get the word out about the event. 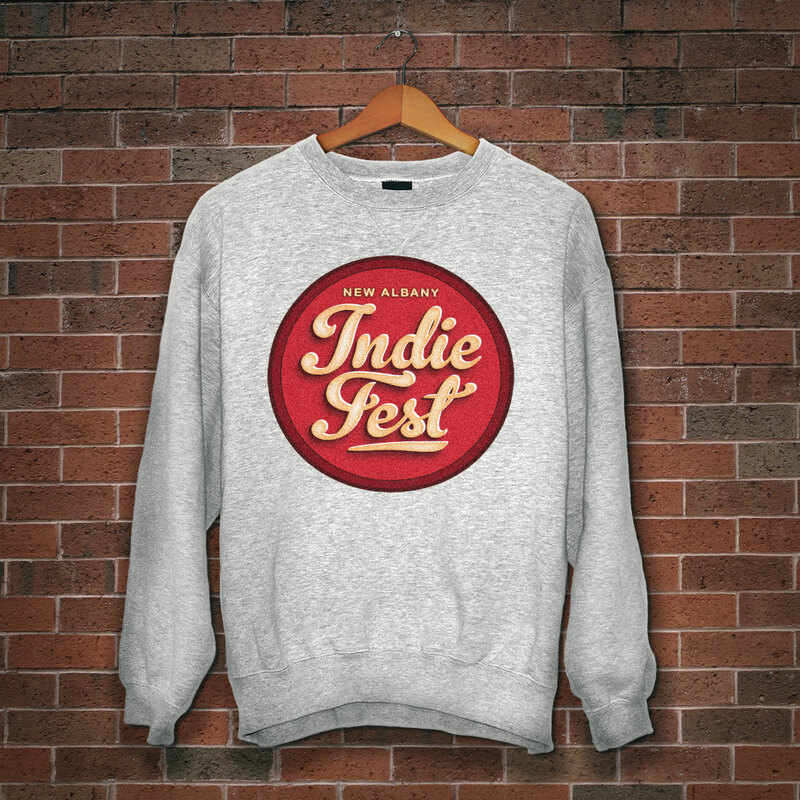 Posters, banners, postcards, apparel and personalized business cards were created, featuring the newly designed Indie Fest logo.